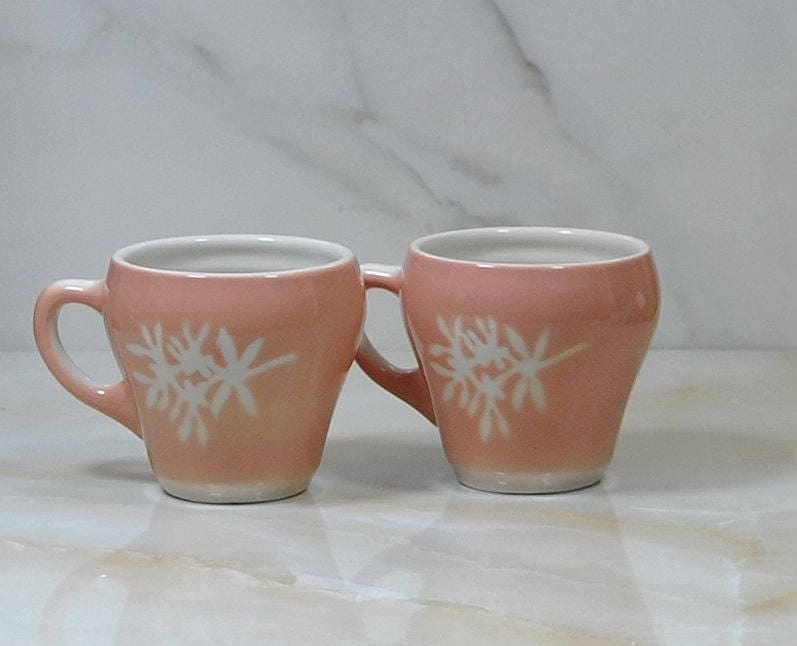 Vintage set of 2 Syracuse China Tea Cups. 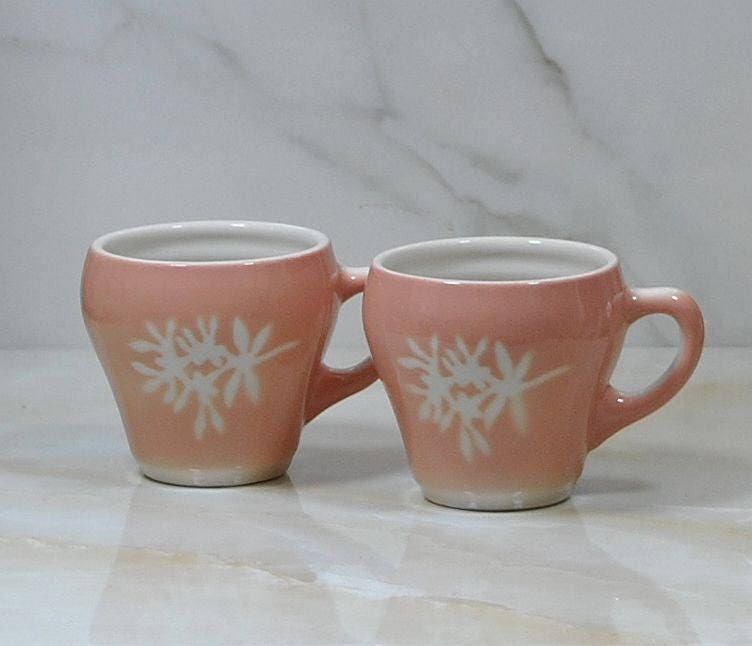 This Restaurant Ware was made for the Illinois Central Railroad in the "Coral" pattern in the 1960's. 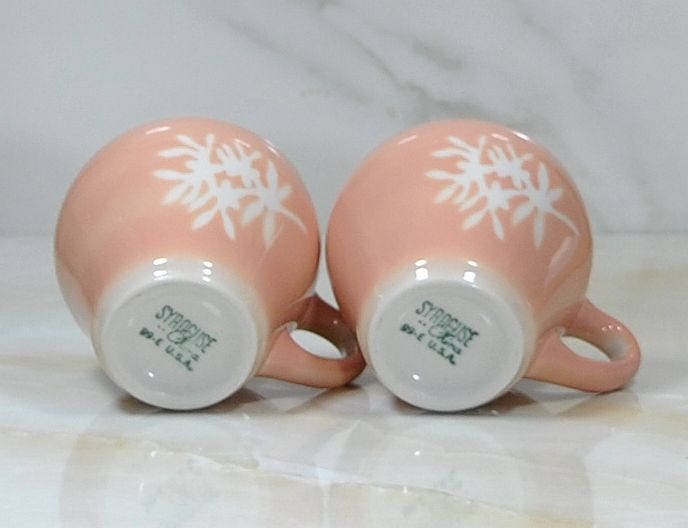 They are a pretty airbrushed salmon pink with a creamy white floral design. The bottom is marked 89 or 99-E. The unique shape was created to reduce and avoid spills while the train was in motion. This pattern was made exclusively for Illinois. 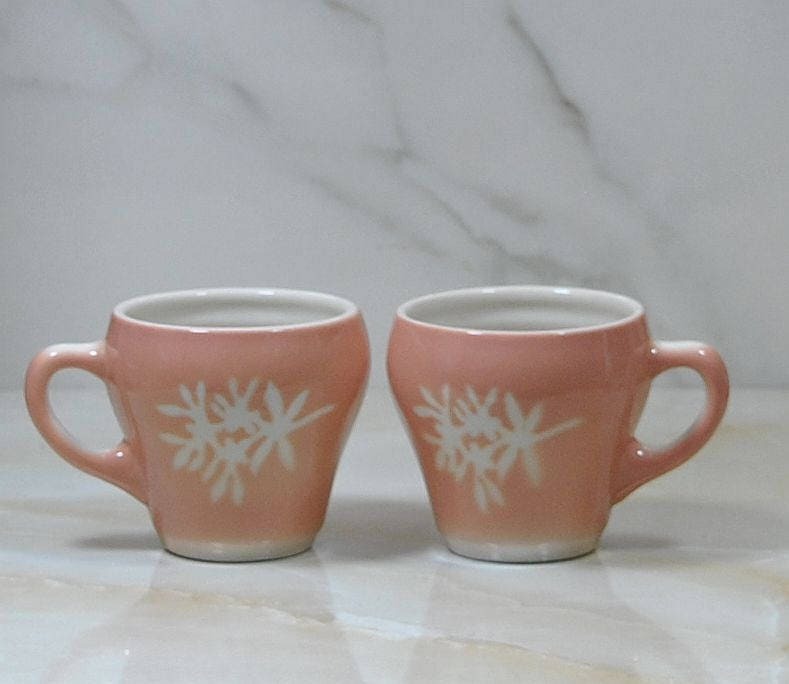 The cup measures approximately 3" tall, 3 1/4" in diameter at the top, and 2" in diameter on the bottom. 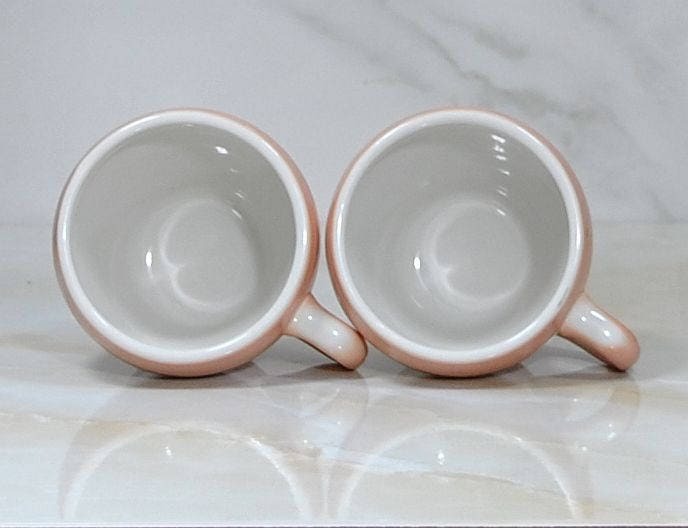 Both cups are in very good condition with no chips, cracks or breaks, however one has a small gray line on the rim that is a manufacturer's defect. It can be seen in photograph number 4. The price has been adjusted accordingly. Please see the photographs for additional condition information. Thanks for stopping by!